Aged beauty. Honestly? It was hard to narrow this one down because I cherish older things, especially items from our family. This is my grandparent's dough bowl. My grandfather, Pome, or Grandmother Bailey would mix and knead biscuit dough in this wooden bowl every night. I have no idea how old it is but I cherish each and every age mark. It proudly rests at the center of my kitchen table. 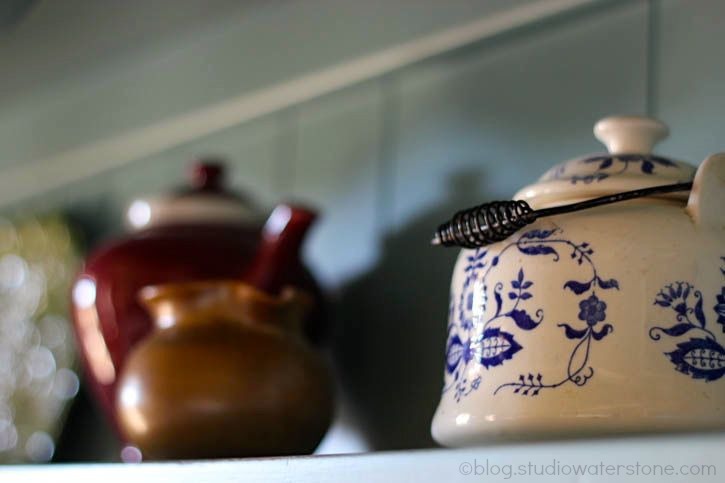 We have several much loved tea pots from Jeff's grandmother and this is one of my favorites with it's creamy white and blue surface, black handle and tea stains. Like the dough bowl, our tea pots are openly displayed as a reminder of beloved family and days gone by. • This post is part of the Focus on Life series. It is so touching to have such possesions and know the family history behind them. THe tea pot is obviouls the inspiration for a lot of the enameled ones currently being sold! Our kitchen is slowly being renovated and one of the things it's getting is a wall of open shelving so that I can put out some of the family treasures! What beautiful pieces! You are so fortunate to have them. How beautiful is this?! Awesome photos of such a wonderful 'aged beauty'. How lucky you are to have these beautiful items. 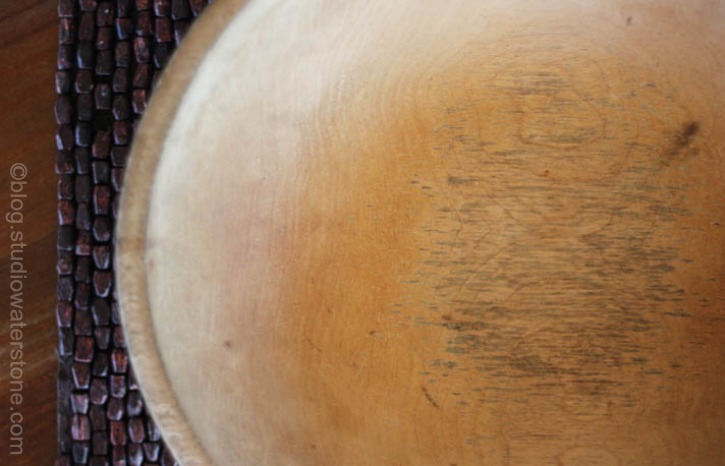 The bowl especially shows its age beauty marks. Beautiful loved and charished pieces Lori! That dough bowl! What a gift to have that still...the promise it has held. Great pictures. Family heirlooms are the best! 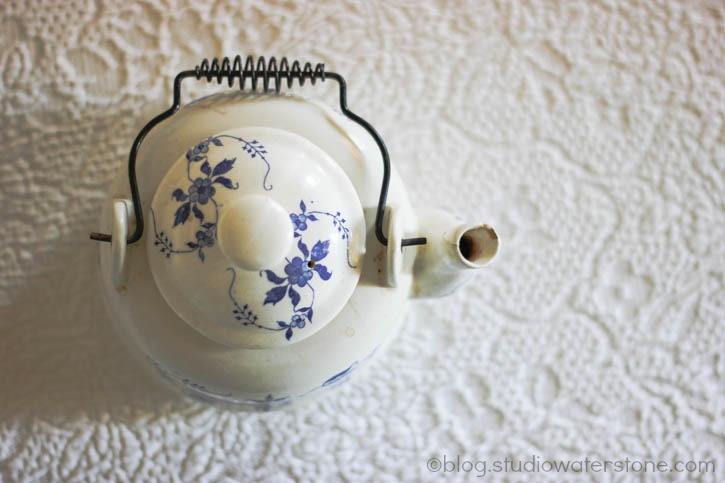 We all should cherish older things and your bowl is gorgeous, and your beautiful teapots, thanks for sharing these with us.. Have a great week Lori.. I love old things too and the ones from family are the most special. You're lucky to have such beautiful treasures. lovely images, Lori. they make time stand still.